How Far Off the Floor Should a Wall Oven Be? The recommended height for how far a wall oven should be off the floor is eye level. Because that measurement depends upon the height of the person who uses the stove the most, the height will vary from person to person. Place the Stove at Eye Level. Take Special Needs Into Consideration. People with special needs might require a wall oven installed at such heights as 4 feet off the floor if, for instance, they use a wheelchair, or 2 feet from the floor if they can stand but their mobility is hindered. 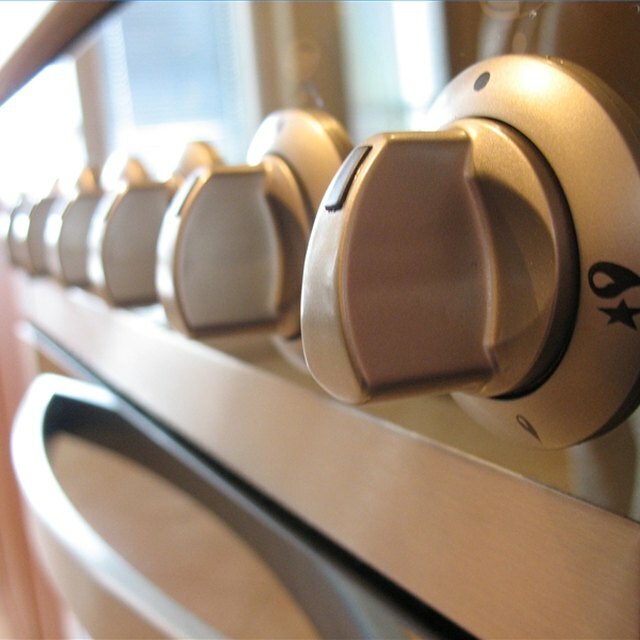 Consult with the person who will be cooking with the oven the most and install the appliance at a height from the floor that will best suit her needs. Christa Titus is a dedicated journalism professional with over 10 years writing experience as a freelancer with a variety of publications that include "Billboard" and "Radio & Records." Her writing has also been syndicated to such media outlets as the "Washington Post," the "Seattle-Post Intelligencer," the Associated Press and Reuters. Titus earned a Bachelor of Arts in journalism from Rowan College. How Far Should a Mirror Be Above a Sink?